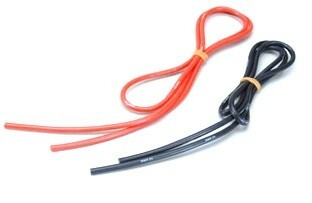 This 12 AWG (4.00 mm²) Silicone Wire is rated for 90 Amps. 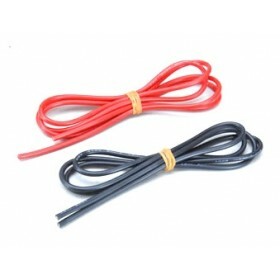 It's supplied as 1 meter of red & 1 meter of black cable for high Amp applications. Not much to say about the wire other than I ordered the wrong gauge, I should have ordered 14AWG which is lighter in weight and with 1038 props I won't be exceeding 25A anyway. I needed some heavy duty wire for my Hexacopter to carry the power from the battery to the distribution board this is the stuff! nice and flexible and solders beautifully to the Deans connector. Performs as it's 'spose to.